In support of the Pioneering Spirit of Flight, Avjobs is proud to announce an exclusive benefit just for you! 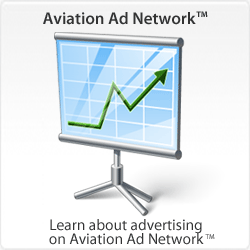 The savings make it easy for actively engaged aviation enthusiasts like you to get your credentials in front of leading commercial, corporate and general aviation companies. These companies are eager to find and hire quality applicants. Pay for 1 month at regular price and get a year free. See the FAQ's and Program Details below. Purchase does not qualify for an instant benefit; qualifying documentation must be sent and approved prior to receiving the free service period. The Spirit of Flight Member Benefit Program simply extends your subscription by adding a free year to the end of any paid subscription. Follow these 3 easy steps to activate your account and claim your year of free service. 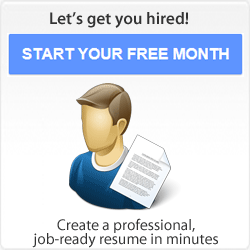 Register selecting the Job Search or Advanced job Search Monthly Plan or by clicking the blue "Get started" button on this page. After you have received your user name and password, follow the links to the “Account" section of the Applicant Portal, locate the "Special Offer Forms" section and send in the required documentation. Upon receipt of your Spirit of Flight Member Benefit claim form and qualifying documentation, a free year of service will be applied to your account and you will be notified of your new billing date following the expiration of the free period. Save Money, Save Time, Get Hired Faster! 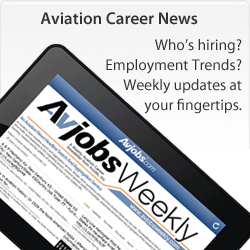 1 Year FREE added to an existing Avjobs applicant subscription. Support The Pioneering Spirit of Flight, become a Spirit of Flight Member today. Active Spirit of Flight Members receive one (1) year of service free of charge when you pay for 1 month of Avjobs service at regular price. This Spirit of Flight Member Benefit is renewable every year for as long as you remain an Active Spirit of Flight Member. Contact your Spirit of Flight Membership Director for additional information. Do I have to be an Spirit of Flight Member to get a year free? Yep. But you can join the Spirit of Flight Center at any time and then claim your year of free service afterward, even if you are already a member of Avjobs. Do I have to join Spirit of Flight Center before I join Avjobs? Nope. You can join Spirit of Flight Center or Avjobs in any order and submit your request for the free year at any time. Your Avjobs account will just be a regular paid account until we receive your qualifying documentation. What is the qualifying documentation? Qualifying documentation could be a copy of your membership card, or a letter from the Spirit of Flight Center referencing your status, or a copy of your receipt from your last tour, visit or donation dated within the past year (365 days). Documentation must include your first and last name and date of your membership or visit date. Can I still qualify if I don't have a Spirit of Flight Center Membership card? To process your Spirit of Flight Member Benefit Program claim form, Avjobs needs proof of your Spirit of Flight Center Membership and status. If you do not have an active membership card, it is necessary for you to provide documentation proving your status. This can be a letter from the Spirit of Flight Center referencing your status. Contact your Spirit of Flight Center Membership Director for additional information. Where do I get the claim form? The Spirit of Flight Center Member Benefit Program claim form is part of your active Avjobs Applicant Account. After you have received your Avjobs user name and password, sign in and follow the links to the "Account" section, then click the "Special Offer Forms" link. Follow the instructions and send in the required documentation. How do I know if I qualify for the free year? If you're an active Spirit of Flight Center Member, you qualify. If you have successfully completed a tour, visit or donation in the last 365 days, you qualify. If you are not currently a member of the Spirit of Flight Center, become a member - and you qualify. When can I get another year free? Active Spirit of Flight Center Members receive one (1) year of service free of charge when you pay for 1 month of Avjobs service at regular price. Your Spirit of Flight Center Member Benefit is renewable every year for as long as you remain an Active Spirit of Flight Center Member and Avjobs. PLEASE NOTE: Your account reverts to its regular billing terms at the end of the free period until we receive your Spirit of Flight Center Member Benefit Program claim form and accompanying documentation for the subsequent year. All accounts remain active until cancellation is submitted. You can cancel your account at anytime from your account control panel using the simple self cancellation process. What if I don't send in the Spirit of Flight Center Member Benefit claim form? The program simply extends your subscription by adding a free year to the end of your paid subscription. Depending on the payment plan you selected your credit card will automatically be charged monthly, quarterly or annually until we receive your Spirit of Flight Center Member Benefit Program claim form and accompanying documentation, or until you close your account. Please note that it is the responsibility of the participant to know the rules of the programs as set forth in this document when claiming eligibility. Participants will be asked to furnish documentation supporting their eligibility with these rules. Yep, we require a credit card to sign up. Our address verification system validates your identity and location to ensure a safe environment and eliminate fraud. Pay on our secure server with your Visa, MasterCard, American Express, Discover, or JCB—sorry, no PayPal, purchase orders, checks, COD or telephone orders are accepted. Why do you ask for a valid credit card? While all eligible participants receive the Spirit of Flight Center Member Benefit of a year of free service added to an existing account, the account reverts back to its regular billing terms at the end of the free period. All account types automatically renew to ensure account continuity so you'll need to sign in and use the self cancellation process before the last day of your free period to avoid renewal. Or re-send your Spirit of Flight Center Member Benefit Program claim form and accompanying documentation to get another year free when you pay for 1 month of Avjobs service at regular price. What if I find a job, can I cancel my service? Yep, you can cancel at any time. The program simply extends your subscription by adding a free year to the end of your paid subscription. Yep. Although employers would hate to see you go, you can cancel your account at any time, (24/7), from your account control panel using the simple self cancellation process. You can cancel your account at anytime from your account control panel using the simple self cancellation process. All cancellations are effective immediately with your request and both onscreen and email cancellation confirmations are provided for your records. All accounts remain active until cancellation is submitted from your account control panel using the simple self cancellation process. Nope. Once you have established an active Avjobs Applicant account, the Spirit of Flight Center Member Benefit Program simply extends your subscription by adding a free year to the end of your paid subscription. All Terms and Conditions of Service apply. PLEASE NOTE: While all eligible participants receive the Spirit of Flight Center Member Benefit of a year of free service added to an existing account, the account reverts back to its regular billing terms at the end of the free period. All accounts remain active until cancellation is submitted from your account control panel using the simple self cancellation process, or until we receive your Spirit of Flight Center Member Benefit Program claim form and accompanying documentation for the subsequent year. Participant is eligible to receive additional promotions or discounts, including an additional year(s) of free service once subscription billing has reverted and one (1) month of Avjobs service at regular price has been paid. How do I get additional years free? As long as you maintain your Spirit of Flight Center and Avjobs accounts you qualify for 1 year of free Avjobs service once a year, every year when you pay for 1 month of Avjobs service at regular price. When submitting Spirit of Flight Center Member Benefit Program claim forms for a second (2nd) year and beyond, an annual account maintenance fee equal to one (1) months subscription fee is required to process your request. The account maintenance fee is collected only at the time your request is processed. Participating members submitting qualifying documentation will be notified by email of their new billing date following the expiration of the free period, and any fees incurred to process the request. Yep, we use a thawte SSL123 Certificate and provide secure communications by encrypting all data to and from the site during the registration process. You can view the details of the certificate and check its validity by clicking the SSL image during the registration process. Nope, but you can experience the value of Avjobs by selecting any of our Monthly payment plans. Cancel within thirty (30) days and you'll only be charged for the current month. Or simply send in your Spirit of Flight Center Member Benefit Program claim form and accompanying documentation to get the next year free. Sorry, but subscriptions are non-refundable. All sales of services are final. Avjobs charges a one-time activation fee (Month-to-Month accounts only) upon account creation to ensure that our customers are committed to the search process and maintaining well targeted efforts. The fee also helps cover the costs associated with creating, maintaining and, if applicable, cancelling an account. The activation fee is non-refundable, even if an account is open for a short time only. Subscribers may request a rebate as a service credit on their active account (1 additional FREE month of service). No cash value. Offer may not be combined with any other offer. Subscription must be active and in good standing at the time of request. Rebate submissions must be postmarked within 30 days of the subscription activation date and are void thereafter. Limit one rebate per name, address or household. This offer is valid only for Activation Fees on Avjobs Applicant Subscriptions made after 06/15/2007. Purchase of a qualifying Avjobs, Inc. (Avjobs.com) Monthly Applicant "Ultimate Job Seeker" Subscription (or better) is required to take advantage of this benefit. Your claim form must be submitted via mail to the address provided on the claim form. Avjobs, Inc. reserves the right to change the Terms and Conditions or end this benefit program at any time and without notice. Purchase does not qualify you for an instant benefit; qualifying documentation must be sent and approved prior to receiving the free service period. Avjobs, Inc. makes every attempt to expedite all submissions and provide notification as soon as possible. For the Spirit of Flight Center Member Benefit Program, the benefit term is twelve (12) consecutive months. This offer cannot be combined with any other offers, is non transferable, and is subject to wait time requirements outlined below. Avjobs, Inc. is not responsible for accepting, processing, or honoring incomplete submissions. Providing false or misleading information may disqualify eligibility of participant. 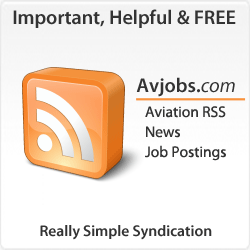 Avjobs, Inc. reserves the right to deny any request deemed to be false, misleading, fraudulent, or inconsistent with the terms of the Spirit of Flight Center Member Benefit Program. No cash value or refunds. Your Avjobs Subscription and your Spirit of Flight Center Membership must be active and in good standing at the time of processing. Participants are eligible to take advantage of one discount or promotion per twelve (12) month period. Any claims submitted prior to the required wait time will be denied and notified to wait the required additional time until such that twelve (12) months have passed. i.e. Participant uses Spirit of Flight Center Member Benefit Program on 1/1/2012 and receives twelve (12) months of free service, benefit program will end 12/31/2012. Participant is eligible to receive additional promotions, discounts, or additional Spirit of Flight Center Member Benefit Program (additional free year) once subscription billing has reverted and one (1) months subscription fee has been paid.